I love a good contouring kit and my classic red lip, but I am going to try the minimal look a lot more next spring. I have collaborated with Walgreens to show you how you can get this look with using drugstore products! Michael Kors, Rag & Bone, Rodarte and many more looked very golden and keep on reading to see how you can have a natural glow too! To start, I use 2-3 drops of this Boots Botanics Smoothing Facial Oil Serum on a clean face. 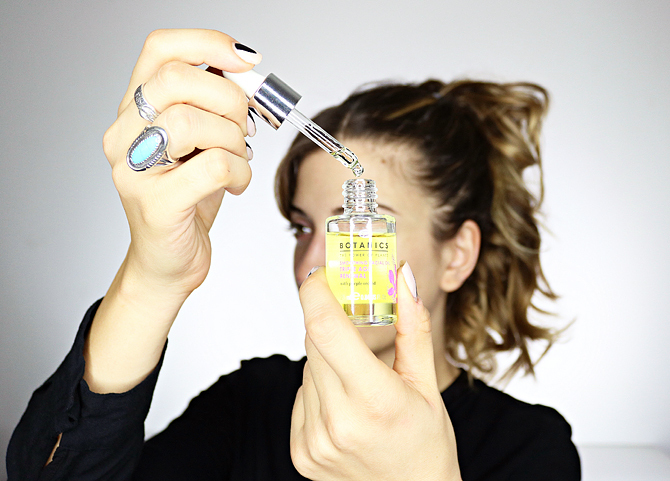 No matter what your complexion is, this facial oil delivers a moisturized texture and is rich in Omega oils. Its super lightweight formula easily absorbs into your skin and leaves a visible radiant glow. You want your skin to look revitalized and brighter. Don’t be afraid if it looks too shiny because after you add your foundation, the key is for it look dewy. Before adding concealer and foundation, I like to use a few drops of the No7 Protect and Perfect Serum to keep my skin looking young and avoid my deepest fear, aging. This formula helps tackle blemishes but I use it daily as an effective serum to reduce any appearance of fine lines. 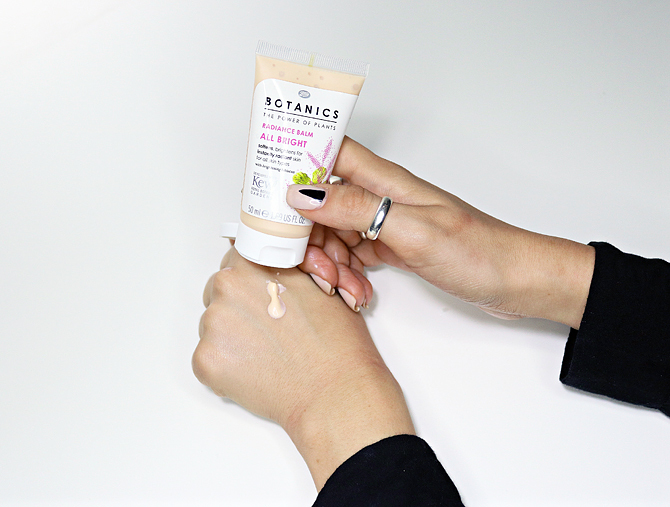 An additional step that is vital for this tutorial is the Boots Botanics Radiance Balm. This balm is the key for your subtle glow. For best results, apply it over moisturized skin for a radiant base and it also acts as a lightweight primer for your foundation. It contains natural acids and it instantly promotes a radiant complexion. Now you are ready for your foundation! I also add a little concealer to cover up those dark circles after a long day! Next, I use the Boots Botanics Radiance Highlighter Pen to add a bit of radiance above my cheekbones as well as reduce the appearance of the dark shadows. Since we are going for a brightened look, highlighting your features is key. Continue to highlight above your brow bone, the bridge of your nose, and above your cupid’s bow. Since this is a subtle look. I added several coats of mascara, No7 Lash Impact Mascara to bring out the lashes. No eyeliner because we want it to look natural and glowy! I also added the Colour Prevails Shimmer to my lower lash line in a thin line to make them pop. Now comes my favorite part, time to make my face look more bronzed and fresh. I lightly used the Boots No7 Perfectly Bronzed Mosaic Bronzer to give the apples of my cheeks a warm pink shimmer. I finished the look off with Circa Beauty Lustrous Shine Lip Polish for a super glossy pop of color. There you have it! It’s simple, dewy, and leaves you look radiant all day! What were some of your favorite Spring 2015 beauty trends? Let me know in the comments section! Lovely photo tutorial! You look gorgeous Lillian!